Wedding Photo Booth Rental You'll Love and Truly Enjoy! ​Need wedding photo booth for rent in the Richmond area? Having a wedding where a brilliant memory capture in a form of a photo booth would be a perfect fit? Give us a call at (804) 258-1912 and learn why we get so many repeat customers and referrals from all over Virginia. It's your special day, both you and your chosen one are going to enter your lives as a married couple. The flowers are picked out, catering is set up, guest invitations are sent out and wedding photographer is hired? ​What's next? Your wedding photo booth rental of course. What kind of a celebration without an amazing photo booth to impress and please the guests. Make it memorable, no matter if the event is indoors, outdoors or both! Benefits of hiring a photo booth service for your wedding day? Who doesn't love getting their picture taken? Even the most non-photogenic person, deep down inside enjoys the attention. But what if, they could do it with all of their friends, while celebrating your wedding?! The point is that having a wedding celebration isn't all about the preparation, which is stressful as is, but also about keeping the crowd you've invited entertained. What better way to keep them occupied, than to have them take pictures with each other in celebration of your special day? 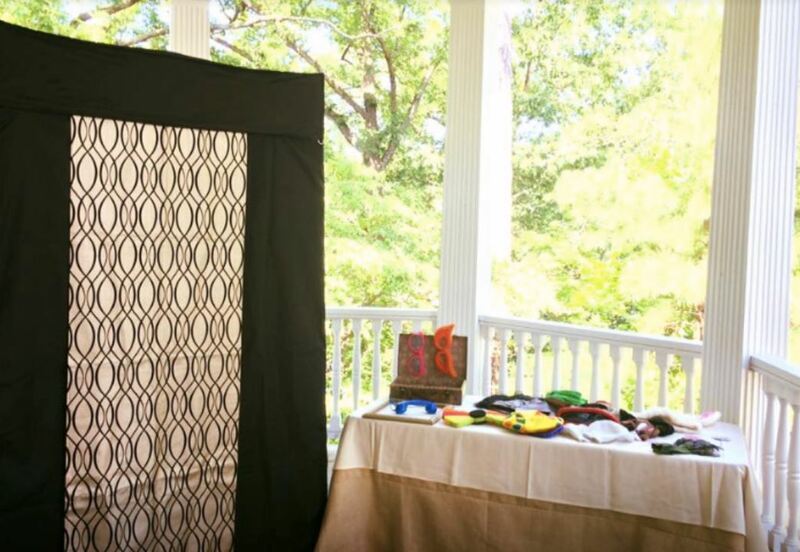 Our photo booth rental service provides residents of Richmond, Virginia and the Greater Richmond Area who are getting married with an opportunity to make their wedding celebration flashy and most memorable. Looking to spice up the wedding memories and make your guestbook different from all others? Why adhere to a standard when you can be unique and be yourself in your guestbook styles. Did you know that the numbers of people who choose a standard, everybody has one type of guestbook are rapidly decreasing every year and are replaced by beautiful, creative ones, just like we offer with our photo booths. Why do what everyone else does when you can be different, be yourself, be creative… After all, it's you one and only shot and there won't be a replay. Remember, it takes a little out of the ordinary to make extraordinary. Great conversation piece and a hang around. As you might already know, that a basic photo booth takes quite a bit of space. Some people reading this might know that they generally attract lots of people, because who doesn't like a free picture of them and their friends taken, especially when all the props and special effects come into play? Nobody not loves it! Think about it this way… How many other attraction are you going to have at your wedding other than the dance floor and the bar? We are offering you a fairly inexpensive way to get another attraction going which will help keep your guest occupied and give you more time with your other half. ﻿﻿﻿​If you're reading this and still aren't convinced that our photo booth for your wedding is an amazing and inexpensive necessity, rather than another option, then we are done talking. As we've mentioned earlier, it only happens once and not hiring a photo booth for that special day is often times a regrettable decision. Get in touch with us today by calling (804) 258-1912 or simply fill out the free quote form posted on every page.. Our pricing is simple and with no hidden fees, we easy to deal with and all you have to do is get in touch, we promise that you won't regret it. Do the responsible thing and hire our photo booth rental for your wedding.